Dr. Suarez was awarded his MD degree from the University of Miami. He received his surgical training in General and Vascular Surgery at Jackson Memorial/ University of Miami Medical Center. He is board certified by The American Board of Surgery and is a fellow of The American College of Surgeons and The Society of Surgical Oncology. He was full time faculty at the University of Miami until he entered private practice in 1981. He remains on the voluntary faculty as an associate professor. Dr. Suarez is the author of many scientific articles and has written chapters in four text books of surgery. He has lectured extensively in the USA and abroad on various surgical topics. 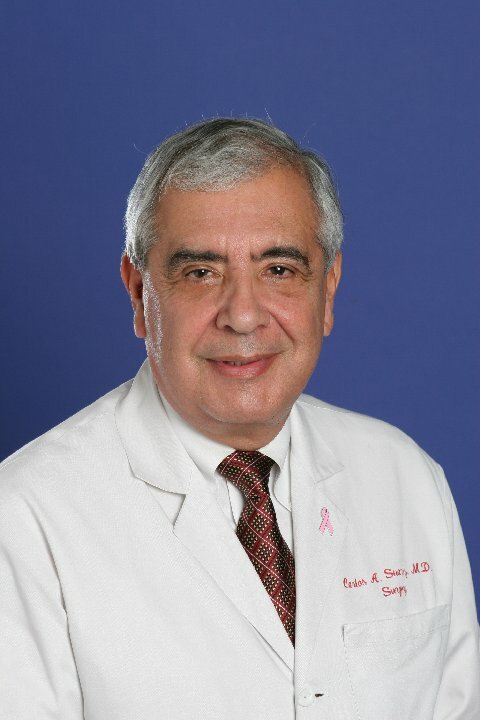 Dr. Suarez has traveled and lectured extensively in his areas of expertise, notably on laparoscopic techniques and the treatment of cancer and vascular conditions. He has authored over 50 peer reviewed publications and chapters on the subject of surgery. Dr. Suarez is well regarded by his South Florida colleagues and patients from all over the world; who consistently give him high marks for his diagnostic and surgical skills as well as bedside manners. He often receives the highest scores for service categories as posted on rating medical sites, such as Vitals and Healthgrades.